I don’t think that many people think about ordering a plain white cake from the bakery counter at their local grocery store. They automatically assume that they have to purchase one of the ornately decorated cakes in the cooler section. You know…those ones excessively covered in cheesy character decor and semi-terrible handwritten frosting? (Insert grimacing face emoji here). 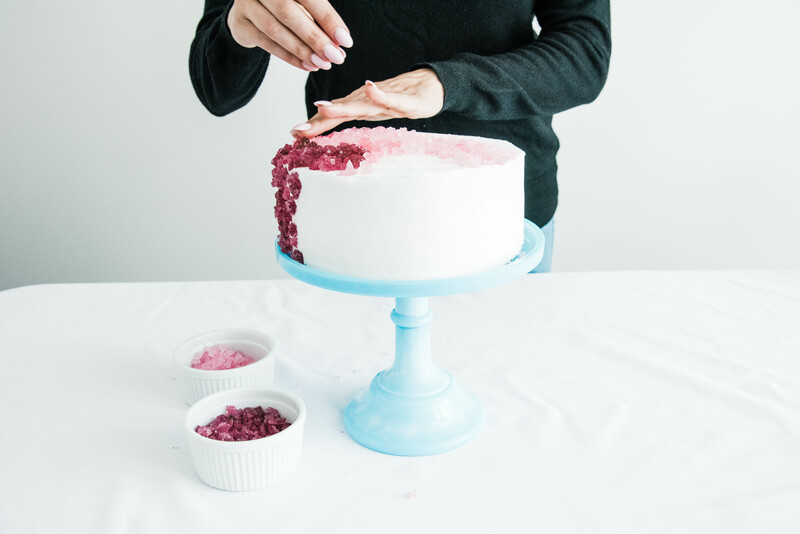 Granted, those grocery store character cakes do have a time and place at some events and gatherings, but, it is totally possible to eliminate A LOT of the work that goes into baking your own cake by ordering a white cake from the bakery and taking care of the decorating yourself. And did I mention, it’s super CHEAP and saves you a ton of time too? (Which I am ALL about!) For today’s hack, I used an old school candy favorite to transform this cake. 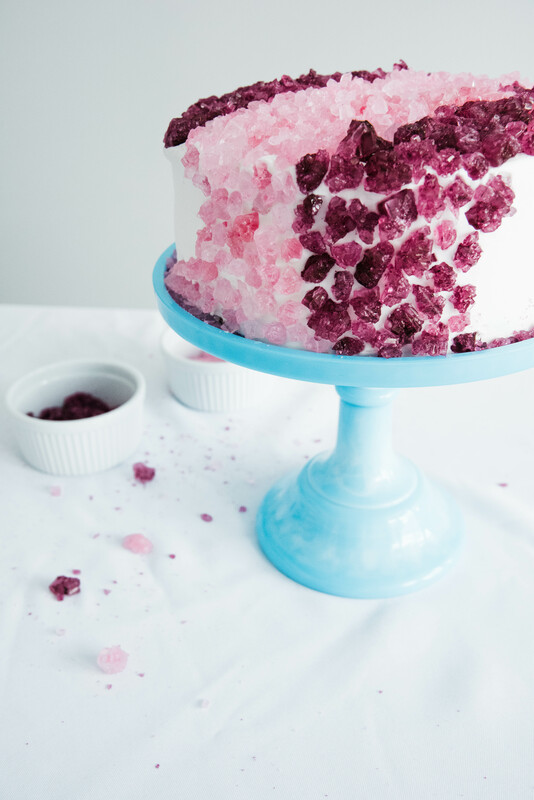 This rock candy cake hack couldn’t be simpler guys. But it sure does transform a plain white grocery store cake into a fun little show piece when done. This grocery store cake cost me around $10. Granted, the ingredients to make your own would be a little bit cheaper, but for $10 and no time spent on my part, it’s TOTALLY worth the investment! 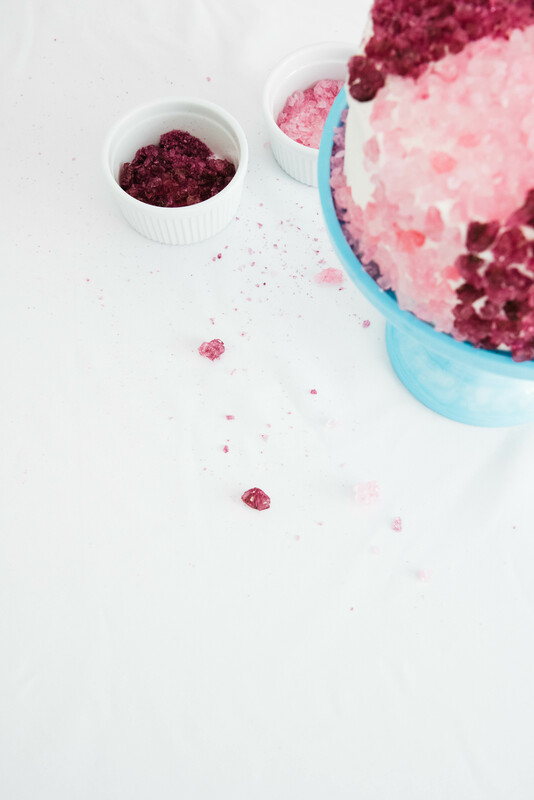 If you purchase rock candy on a stick, like I did, you’ll want to break it off of the sticks into loose pieces. I used a mallet and plastic sandwich bag to eliminate as much mess as possible. 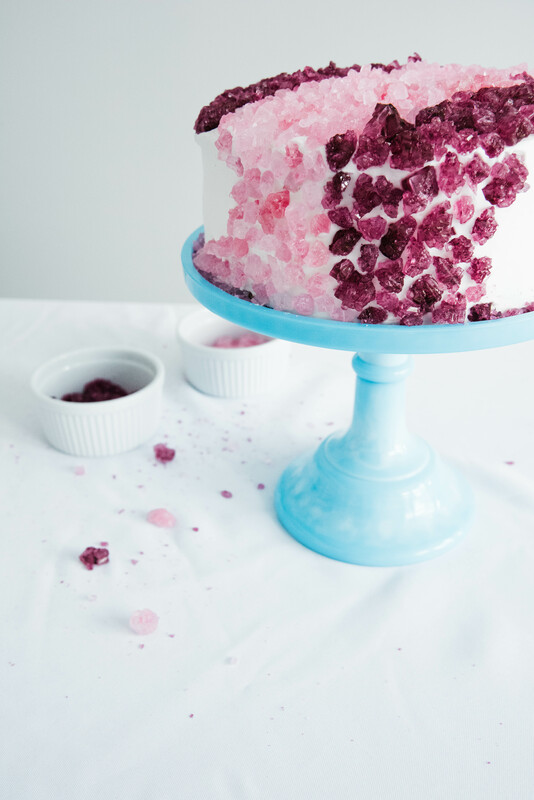 Once your rock candy is broken into pieces, the next step is just to assemble the design onto your grocery store cake. 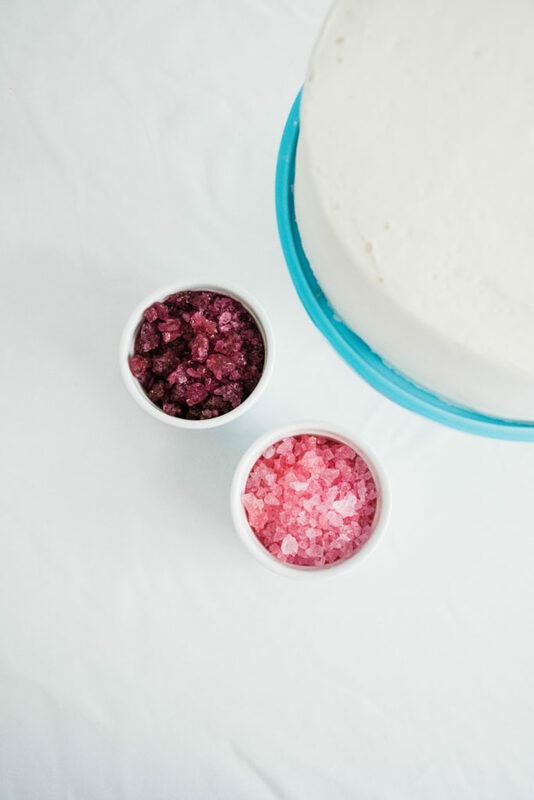 Begin pressing rock candy clusters into the tops and/or sides of your frosted cake. You can choose to go with a design that runs only on the top of your cake, down the sides of your cake, or completely covers the entire cake. Once you’ve achieved an overall look that you’re happy with, you’re done! It’s that easy. 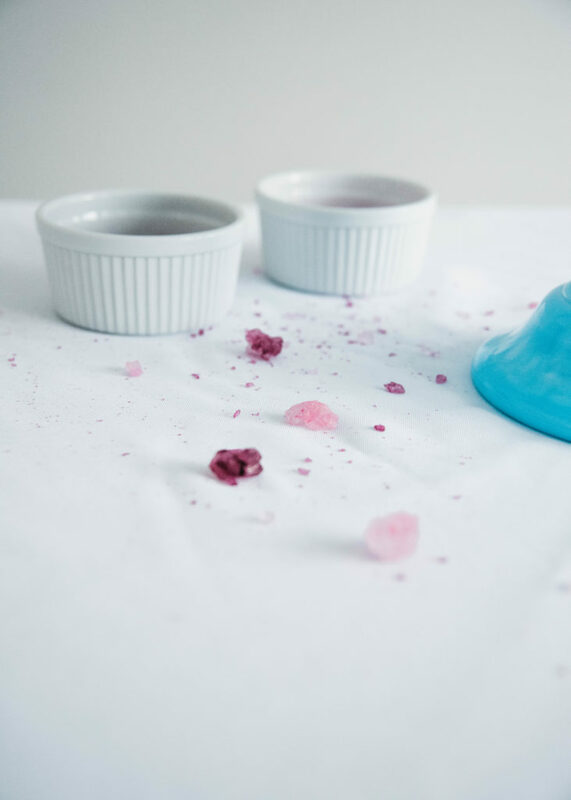 Place your finished cake on a pretty plate or pedestal and serve. 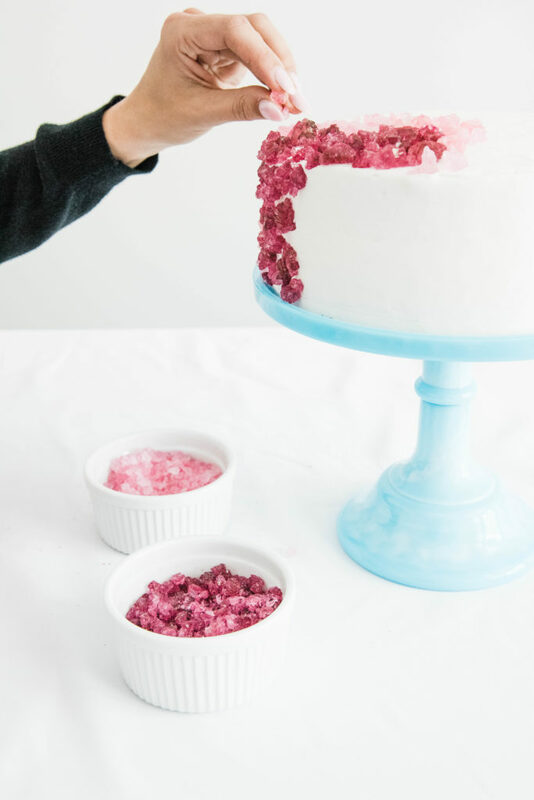 This rock candy cake hack couldn’t be easier and I love how pretty it looks when finished. For another easy (and gorgeous!) cake hack idea, check out this post.